Apple is looking into reports that some customers are experiencing LTE connectivity issues with the newly released iPhone XS and iPhone XS Max. According to one iPhone XS Max owner, Apple is conducting an outreach program with some customers who have a new device that is experiencing LTE problems. Apple has asked him to install a baseband logger to track his cellular connection, presumably to figure out if there are any serious issues that need to be resolved. We've heard similar reports from MacRumors readers who have been asked to provide device logs to engineers when troubleshooting the issue. iPhone XS and XS Max owners began complaining about LTE connectivity and signal problems shortly after the two devices launched on September 17. 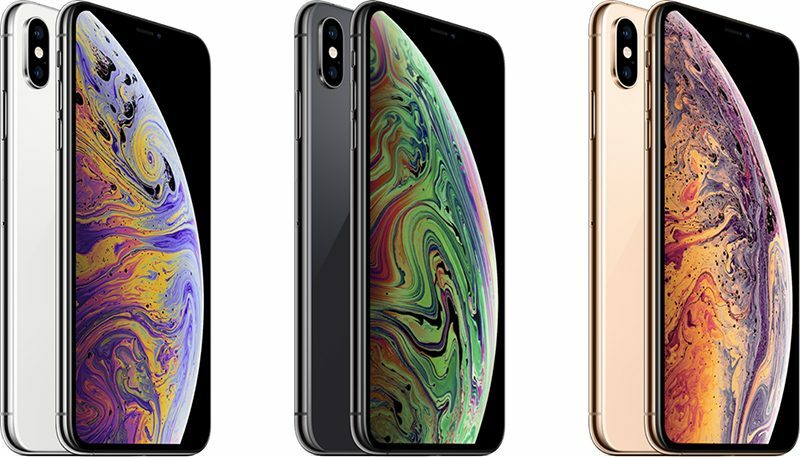 Many users have discovered noticeable differences in cellular reception between iPhone XS models and older iPhones like the iPhone 8 and the iPhone X. Affected users have noticed fewer bars and poorer signal on iPhone XS and XS Max compared to older devices, but it doesn't appear to be a universal problem. While some people have complained of weak connectivity and slow speeds, others have noticed LTE improvements, which confuses the issue. Many of the early complaints came from Verizon users, suggesting there are perhaps carrier firmware issues that need to be resolved, but it's unclear if carrier firmware is the full extent of the problem. 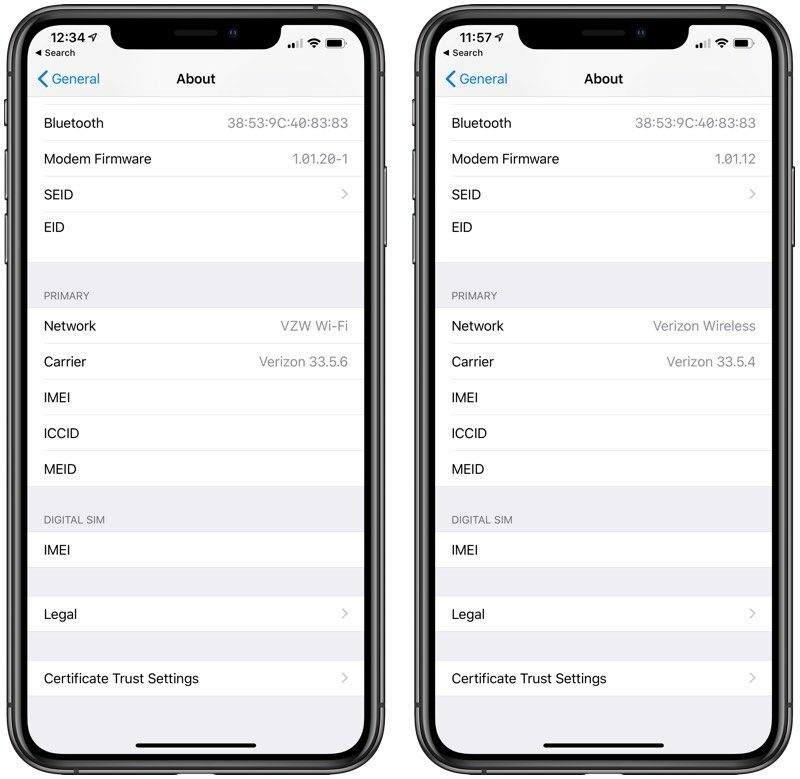 In the most recent iOS 12.1 beta, Apple updated the modem firmware in the iPhone to version 1.01.20-1, up from 1.01.12 in iOS 12.1 beta 1. On the Verizon network, the iOS 12.1 update also introduces new 33.5.6 carrier firmware. Modem firmware updates are a routine part of major .1 iOS releases, so it's not yet clear if the new firmware specifically addresses issues that customers have been experiencing with LTE connectivity. Early reports on the MacRumors forums have, however, suggested that iOS 12.1 does indeed bring some improvements. MacRumors archer75, for example, says the update has doubled his LTE speeds. Other users, though, have said the update does not address LTE problems. Regardless of whether a fix has been bundled into the iOS 12.1 update, Apple is taking reports of LTE problems seriously and investigating what might be going on, so should this be a software-related issue, a resolution is likely in the works. You... don’t understand how software works, do you? The FCC reports clearly show the XS and Max have weak antenna gain. If Apple can fix this using software, their team has a good chance of winning the Nobel Prize in Physics. Apple will write some code to make it look fixed. I don’t think that this can be fixed via software upgrade. I had the problem on two different devices. I finally reverted back to a X that my local Apple store still had in stock last week. I guess not? Maybe you can inform me in your deep wisdom how a hardware issue with weak antenna gain. I swear, every time I make one post on here there is bound to be someone who ends up making comments back to me that are snarky, rude, and borderline degrading. It’s frustrating... back on topic. How about WiFi? My iPhone Max doesn’t like 5Ghz, keeps switching to 2.4 when other iPhone X in the household retain connection even if the signal quality is subpar. Then when the max connects to 2.4, the speeds are terrible, most of the time falling below 30Mbps on more than 460 downstream connections. When did we, as consumers, start accepting that it was okay to spend our money on products that are essentially still in beta testing? I love Apple and have bought lots of products from them over the years but they, as well as other companies are releasing products with some major issues. Is it that there is so much pressure that they have to keep releasing products that still need tweaking? Or is it that these devices are so complex that it's almost impossible to test for every use scenario. I think we're all expected to put up with these problems when you are an early adopter but I also think that it spoils the whole experience of getting a new tech gadget when things don't work 100% out of the box. I understand that in the scheme of things it's probably a small amount of devices with problems but that's cold comfort to the person who's just spent their hard-earned money. I wonder what needs to change so that this stops happening? would be great if a simple patch could resolve it. They’ll just slow down the previous devices to make them look on par with the new ones. I'm seeing 1.8Mbps download on my max vs. 38.4Mbs on my iPad pro sitting right next to it, both on the same network.